He also detailed on the party’s focus on asylum seekers and climate change. 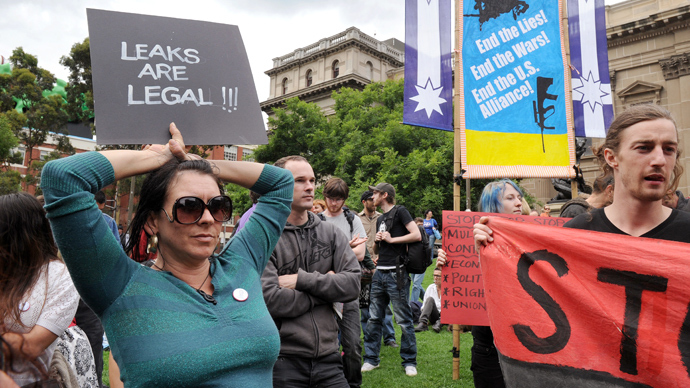 It marked the WikiLeaks Party’s official Thursday launch in Melbourne. Assange has said his party would serve as an independent watchdog for Australian government activity. “It’s a party to put into the Senate, to make sure whoever is put into the government does their job. It’s an insurance against the election,” he said as quoted by Australian national broadcaster ABC. “WikiLeaks Party is a party of accountability, it’s not a party of government,” he added. There will be seven candidates running for the Australian Senate, spanning the states of Victoria, Western Australia and New South Wales. 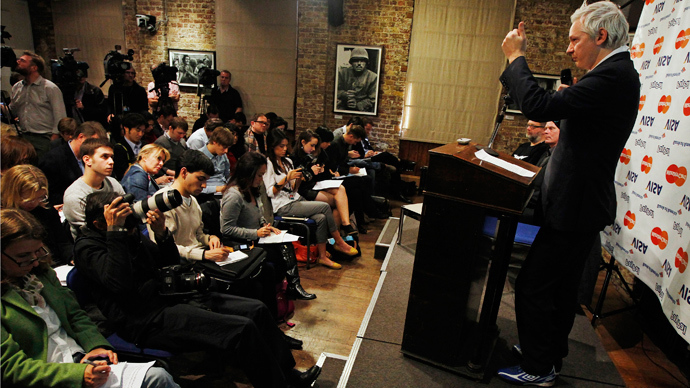 These include academics, journalists and human rights activists. Assange himself is seeking a seat in Victoria. While not exactly sure the senate would allow him to hold office from his Ecuadorian asylum in London, the whistleblower appeared to be confident in his party’s ability to perform. “There is, of course, some possibility that the Australian Senate would permit remote involvement. It’s never been done before, but it is theoretically possible. But in any event we have candidates available to hold the seat until such time as I am available to take it,” Assange said as cited by the New York Times. He said the party’s candidates have already attained their experience while working for the whistleblowing project WikiLeaks. “It’s not unlike running the WikiLeaks organization. We have people on every continent. 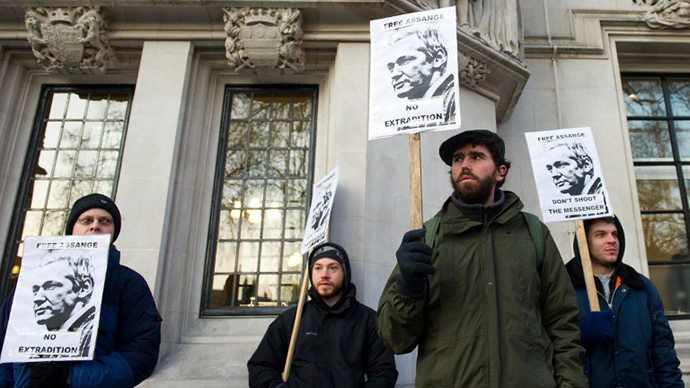 We have to deal with over a dozen legal cases at once,” Assange has argued. “My plans are to essentially parachute in a crack troop of investigative journalists into the senate and to do what we have done with WikiLeaks, in holding banks and government and intelligence agencies to account,” he explained. Should the WikiLeaks Party be successful in the polls, Assange would have to take his seat within one year of being elected, according to Australian law. Technically, the senate could also grant him an extension. 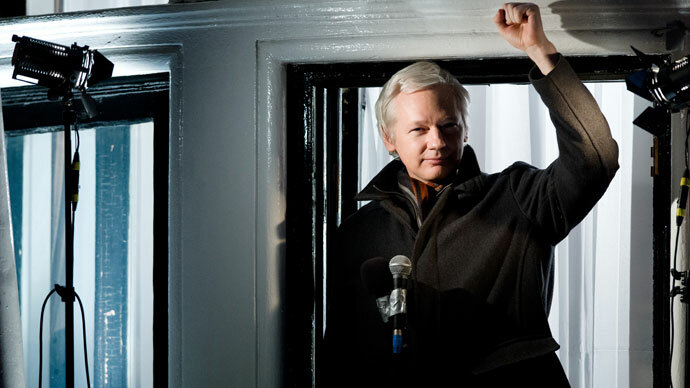 However, the British government has stated Assange will be detained the minute he sets foot outside the embassy – in accordance with the European Arrest Warrant issued against him – effectively leaving the self-proclaimed rights activist in logistical limbo. Assange fears that if detained and handed over to Sweden, he could then be extradited to America. There, according to his lawyers, he is most likely to face trial and a possible death sentence for the release of thousands of classified US diplomatic cables via WikiLeaks online project, including those about the wars in Iraq and Afghanistan. 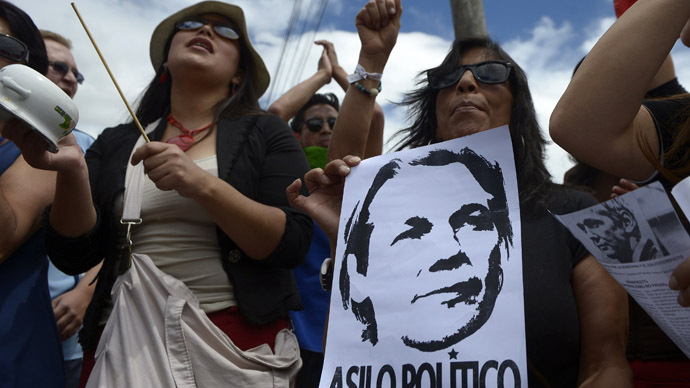 It has been a point of controversy as to whether the US and the UK would stop their persecution of Assange if he wins an Australian Senate seat, granting him protection by the country’s parliamentary privilege rules. The WikiLeaks founder has compared his situation with that of boatpeople refugees seeking asylum in Australia, who have recently been told they are to be sent to Papua New Guinea, according to a new legislation announced by Australian Prime Minister Kevin Rudd. Assange, who finds such policy “dead wrong,” says that it is an example of interference in the right for asylum on the state level.